I'm sorry I've not posted sooner but I been busy with a million and one things (Dr's, School, Children and DIY to name a few) I did however manage to grab a few moments to make a little card. I used some Pebeo high viscosity acrylic paints to take a print from the Gelli Plate, I choose a vivid green and pink, both of which are iridescent. Once dry I stamped my sentiment and image (Visible Image stamps) in Versamark ink and applied black embossing powder which I then heat set. I opted for a simple black and white matting and layering combo to set off the imagery. 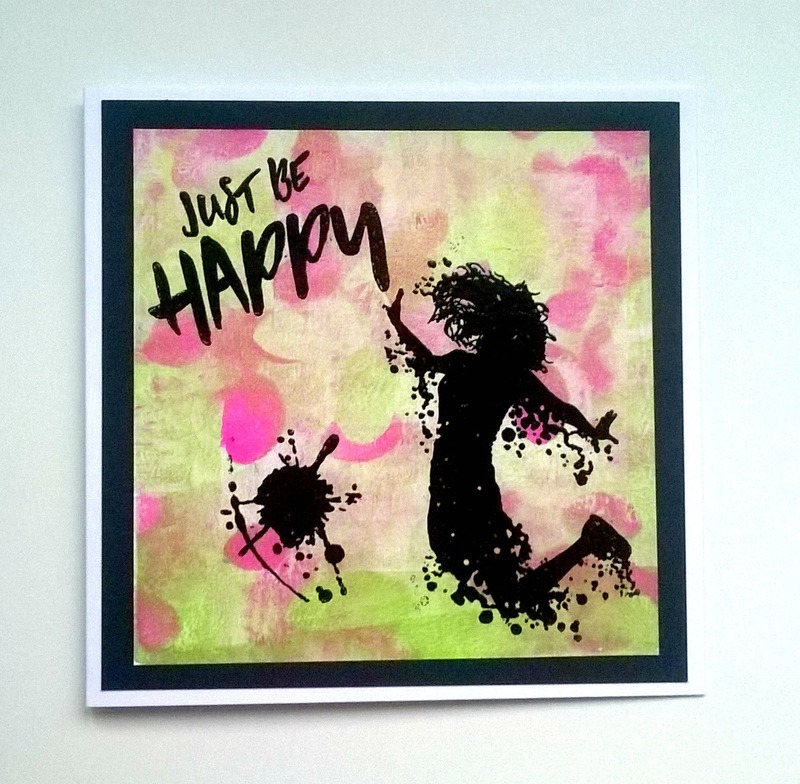 I hope you like it as much as I do, I thinking I might just pop this into a little frame and keep it close for all those times where life can get to busy and overwhelming and I need a reminder to "Just be happy"